The federal government has approved Michigan’s request to expand Medicaid eligibility in Flint. 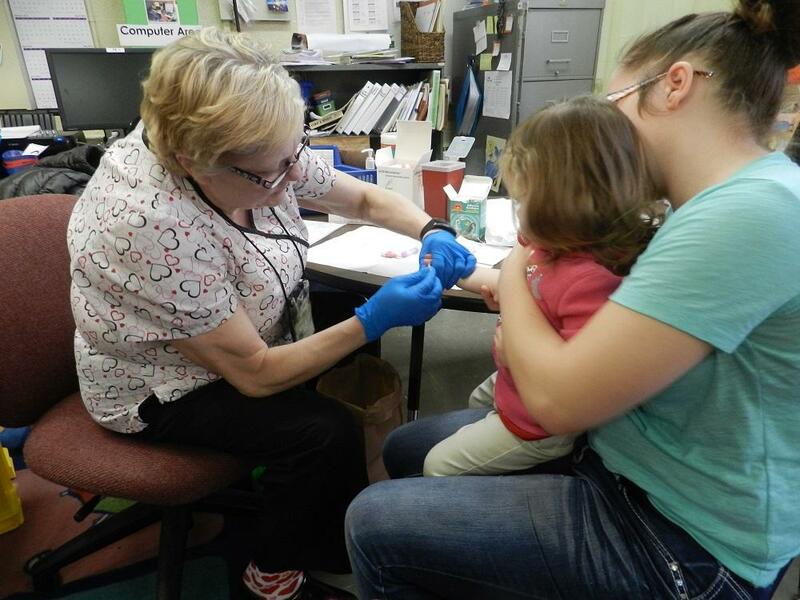 A nurse takes a sample of a child's blood to test it for lead. The U.S. Department of Health and Human Services says pregnant women and people under 21 in Flint are now eligible for the expanded coverage. The Snyder administration asked the federal government for the expanded Medicaid coverage, as part of its response to the Flint water crisis. There are concerns about the health effects of exposure to Flint’s lead-tainted drinking water. The expansion will affect an estimated 15,000 Flint residents. “Expanding Medicaid coverage to tens of thousands of expectant mothers and youth means the most vulnerable citizens served by the Flint water supply can now be connected to a wide range of needed health and developmental services, including lead blood-level monitoring and behavioral health services,” said HHS Secretary Sylvia Mathews Burwell in a written statement. Flint Mayor Karen Weaver commended the decision, saying that roughly 45,000 Flint residents are now eligible for Medicaid benefits without cost-sharing or premiums for the next five years. “It is important that every child and pregnant woman in Michigan get excellent health care to ensure the best possible outcomes for newborns and children,” Weaver said in a written statement. 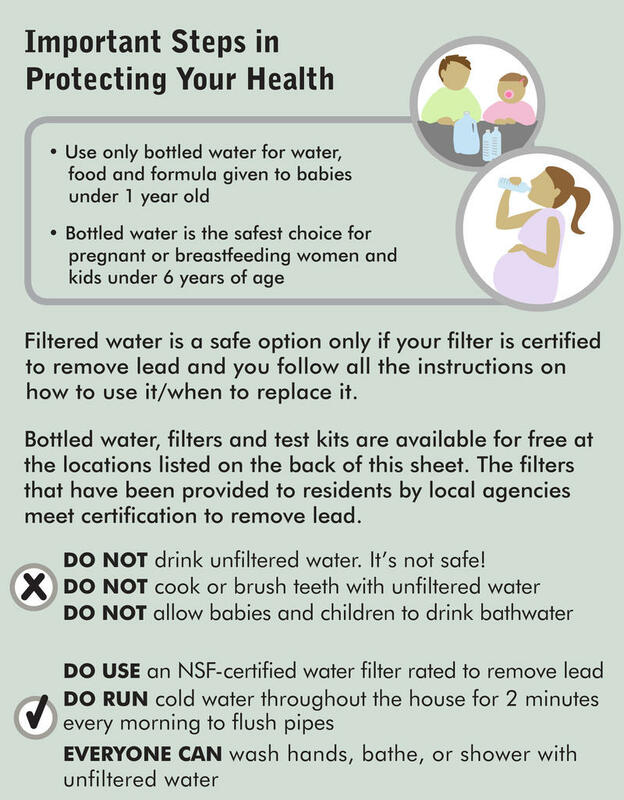 “This waiver should ensure that Flint’s mothers-to-be and our children are given the correct treatment to mitigate their lead exposure and any negative effects." Michigan’s congressional delegation pushed the Obama administration to approve the state’s request for a Medicaid waiver. U.S. Sen. Gary Peters says he’ll continue to work in Washington to get the resources Flint needs to deal with the water crisis. “One of the most effective ways to help minimize the long-term impacts of lead exposure is quality, accessible health care,” Peters said in a written statement. Flint Congressman Dan Kildee says he’s glad to see Flint’s most “vulnerable” residents will have access to the health care they need. “I appreciate the swift action by the U.S. Department of Health and Human Services and the federal government to extend these health and developmental services for Flint residents,” Kildee said in a written statement. 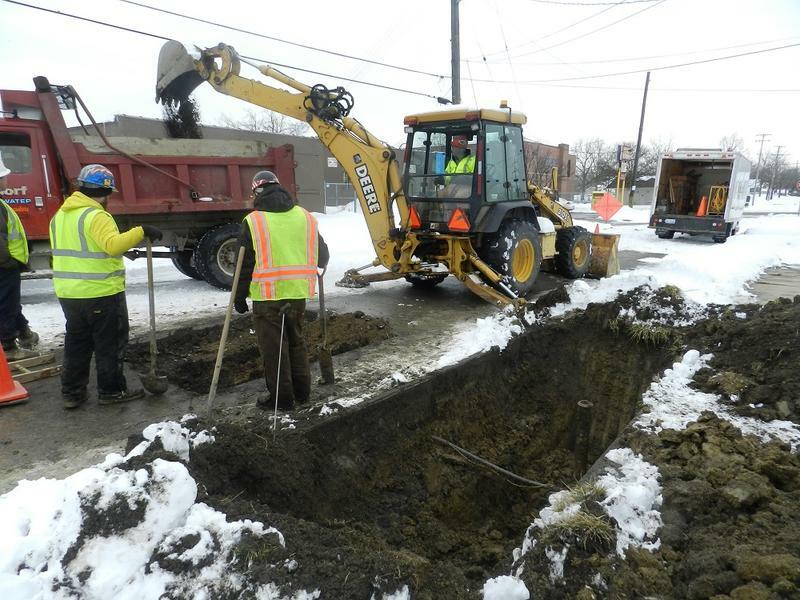 The city of Flint plans to start digging up lead service lines tomorrow. But today, a contractor paid by a private group got to work doing the same thing on the city’s north side. Brittani Felton watched from her driveway as workers dug a deep trench in front of her home on Flint’s Alma Avenue. At the bottom of the muddy hole lay the service line connecting Felton’s home to the city water main. She’s had her water tested, but the results aren’t back yet. 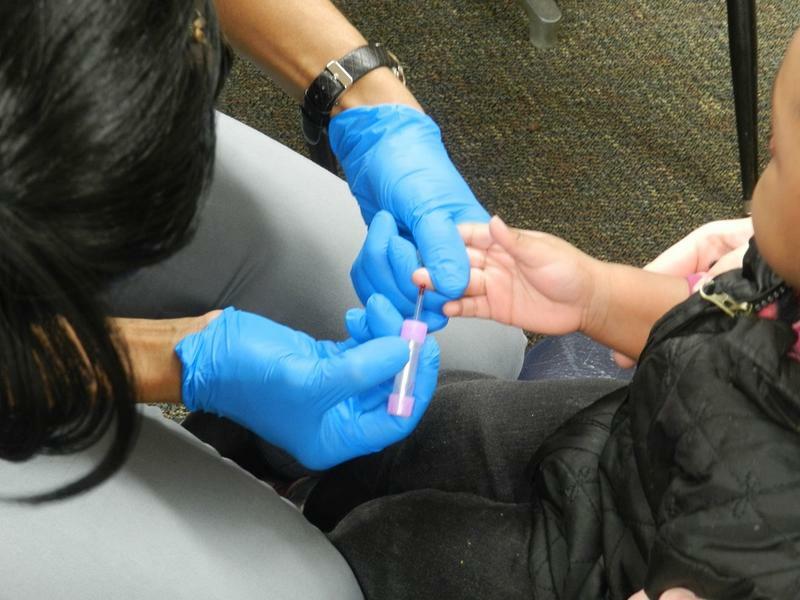 Federal experts are helping the state investigate rashes in Flint. The federal team is with the Agency for Toxic Substances and Disease Registry, and they're doing what's called an ACE investigation (Assessment of Chemical Exposure). The ACE team arrived in the city last week. It’s looking into possible connections between skin problems and the water in Flint. It’s something lots of people have been wondering about. 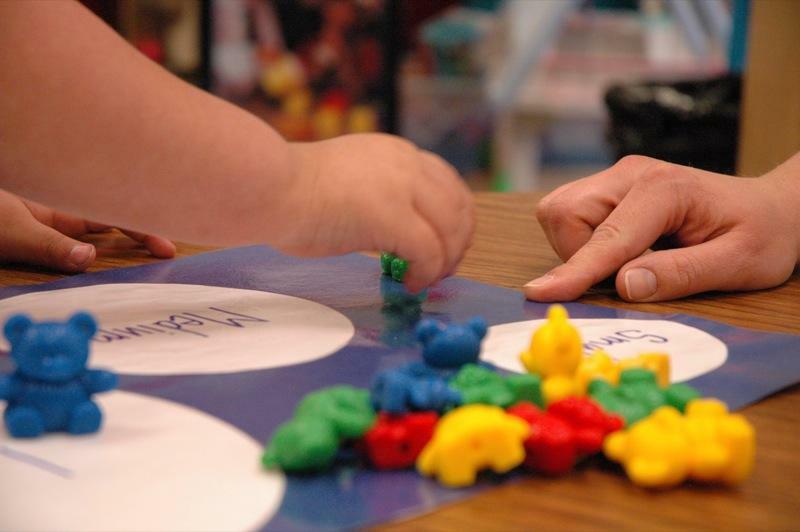 The U.S. Department of Health and Human Services has announced a $3.6 million immediate expansion for Head Start and Early Head Start services in Flint. A new app for mobile devices aims to help Flint residents get the information they need to deal with the city's water crisis. It's called "Empower Flint," and it gives Flint residents a checklist of the most important steps to take to protect themselves, their families and even their pets from the lead in Flint's water and pipes. Gov. 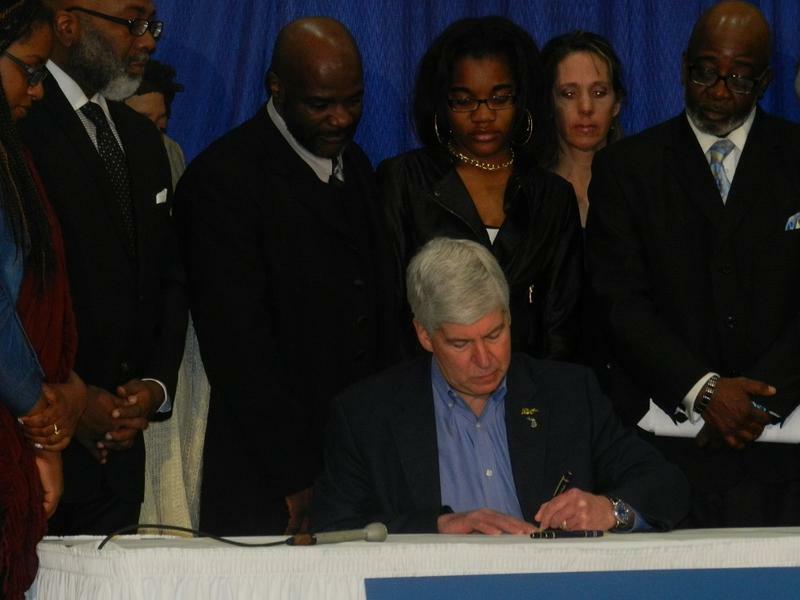 Rick Snyder signed a bill into law today giving Flint $30 million to cover the city’s water bills. The governor says people shouldn’t have to pay for water they can’t drink. The money will cover 65% of the water bills from the past two years. Flint residents are still responsible for paying city water and sewer fees. Pastor Jeffery Hawkins watched as the governor signed the legislation. “Being a Flint resident myself and having to use the water… it is so great to know that this relief has been done,” says Hawkins. A new poll shows parents are hesitant to talk to doctors about their children’s behavioral challenges. 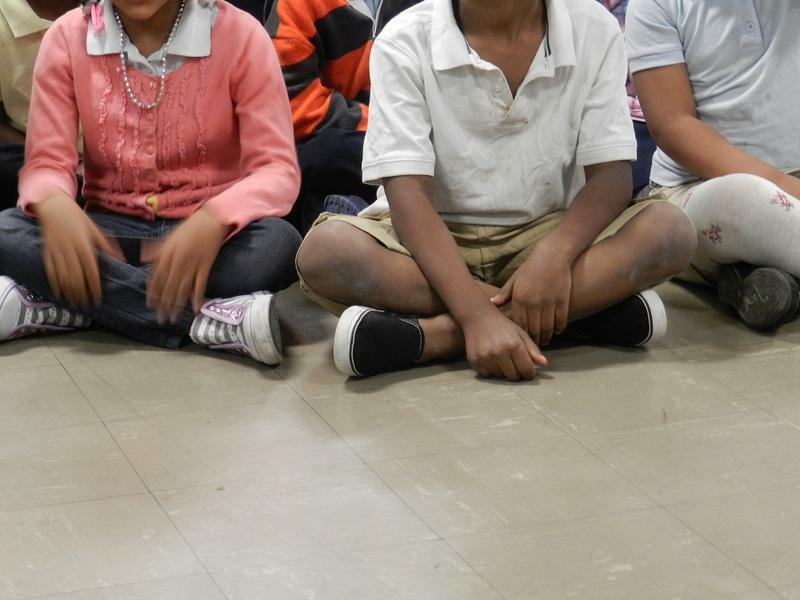 Temper, anxiety and concentration can be major behavioral health issues for children. But a new Mott Children’s Hospital National Poll on Children’s Health shows a large number of parents don’t talk about it with their pediatricians. The U.S. Department of Health and Human Services announced yesterday afternoon they’ve sent a “public health strike team” to Flint. HHS says it has sent in more than a dozen officers with the Commissioned Corps. That’s a uniformed service of public health experts. They’ll be doing follow-up medical visits with kids whose tests have come back with elevated levels of lead in their blood.